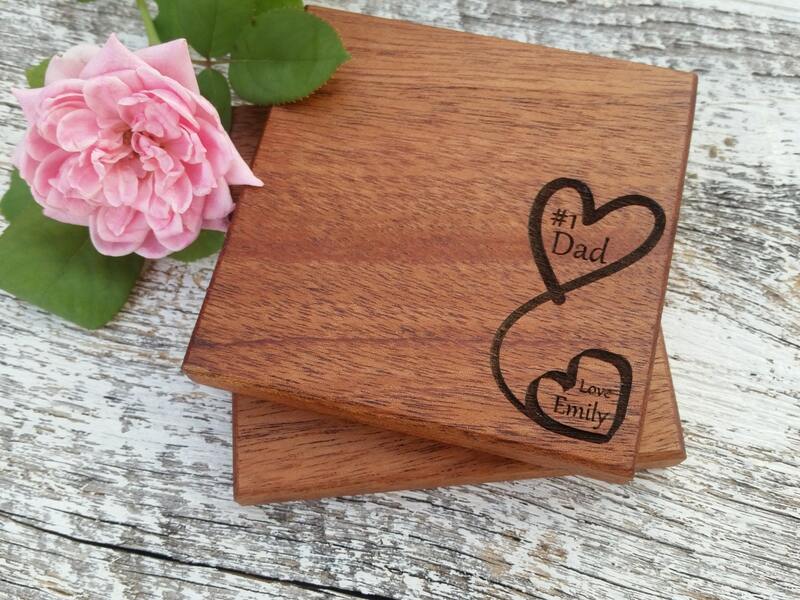 Looking for a custom gift for your dad or husband for Valentine's Day, Father's Day, Birthday or even the holidays? 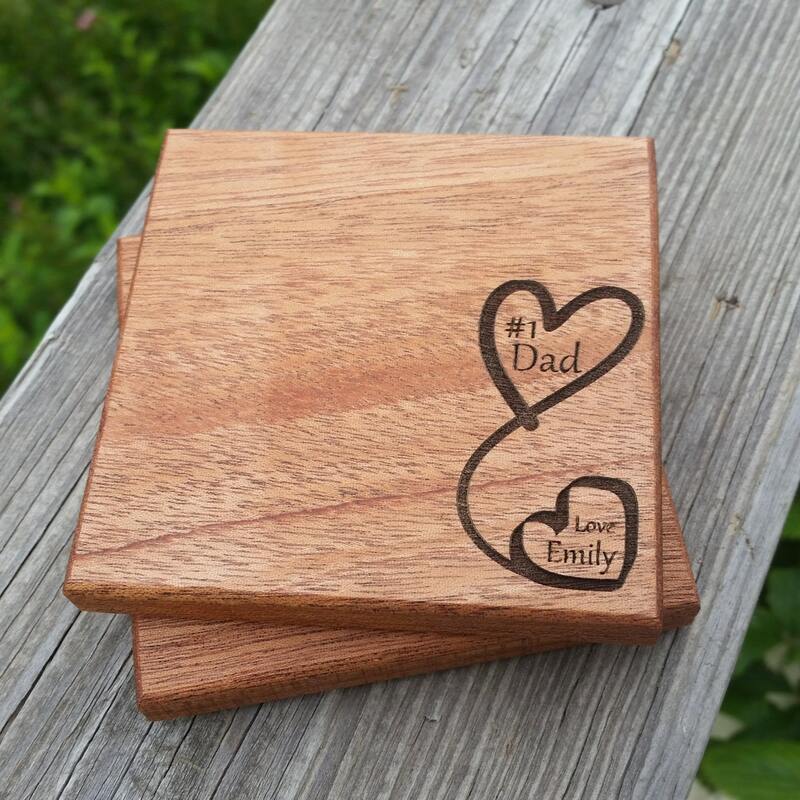 Our coasters are hand crafted from solid wood, and laser engraved by us in the beautiful USA. This double heart design was created by us for a unique OOAK design offered only at FineGiftsEngraving!